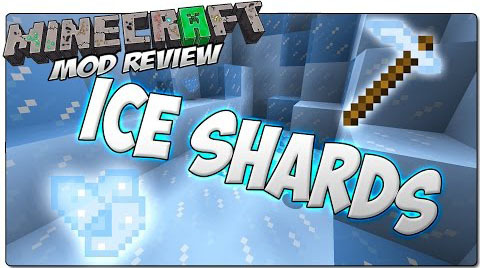 Ice Shards Mod is an addon of Glass Shards Mod which not only makes ice and packed ice but also drops shards when they are broken. These shards can be crafted back into ice or packed ice. 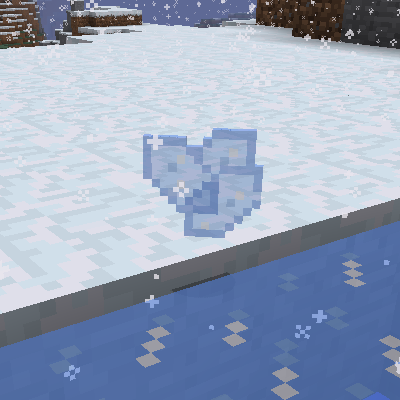 Besides, this mod also provides the players with Frozen Pickaxe harvesting ice faster and preventing it from turning into water. Therefore, the players do not make a mess when building in ice. The drop chance is configurable separately from Glass Shards and for regular and packed ice as well.